We rolling the clock back to this week in 1947 & 1987 for our Flashback Friday. Maybe you’ll recognize some names and faces. It’s also interesting to see how your hometown paper has changed over the years. 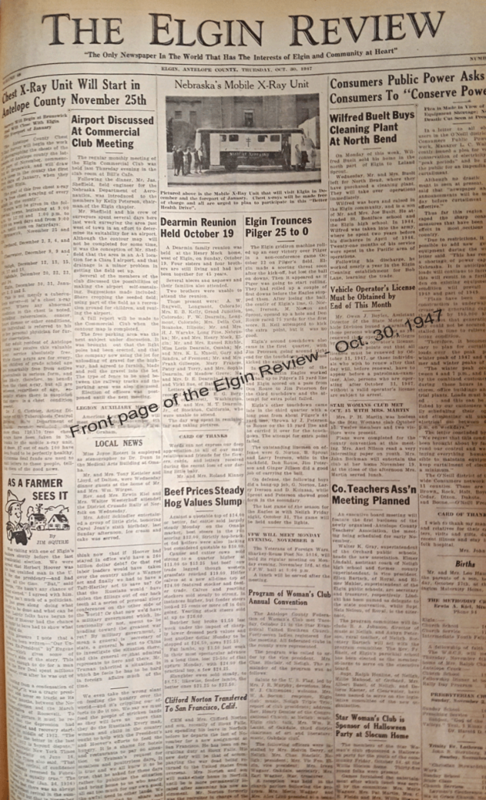 This week in Elgin, Nebraska 1947 — 70 years ago. 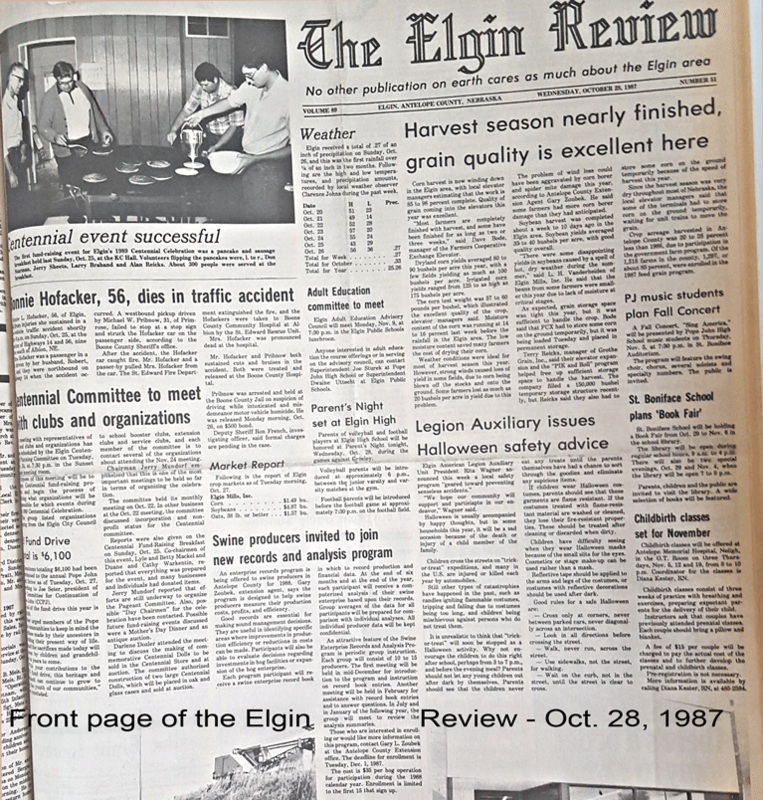 This week in Elgin, Nebraska, 1987. 30 years ago.